U.S. President Donald Trump speaks to reporters at the White House in Washington, U.S., September 14 2017. 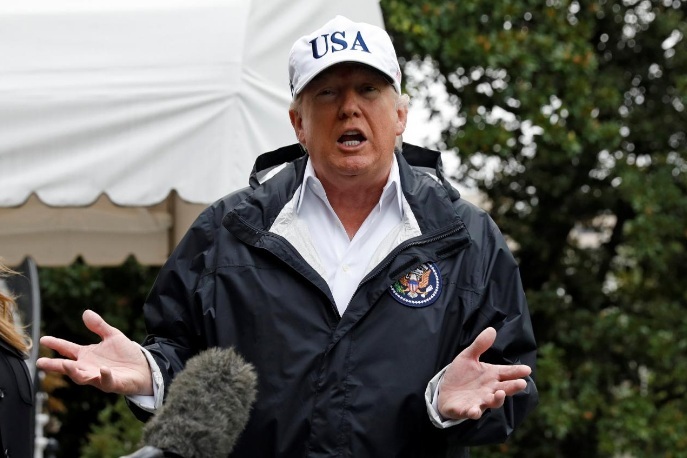 WASHINGTON - U.S. President Donald Trump on Friday said so-called “chain migration,” a term often used to refer to citizens or permanent residents sponsoring relatives or the clustering of certain immigrants in the same areas, cannot be included in any immigration legislation. “CHAIN MIGRATION cannot be allowed to be part of any legislation on Immigration!” Trump wrote on Twitter. The statement comes after Trump stunned many fellow Republicans this week by negotiating with top congressional Democratic leaders over the DACA program protecting the children of undocumented immigrants. U.S. President Donald Trump on Friday said so-called “chain migration,” a term often used to refer to citizens or permanent residents sponsoring relatives or the clustering of certain immigrants in the same areas, cannot be included in any immigration legislation.